This was the first joint U.S.-U.S.S.R. spaceflight, as a symbol of the policy of détente that the two superpowers were pursuing at the time. The plan called for docking Apollo CSM 111 with the Soyuz 7K-TM 19 spacecraft. 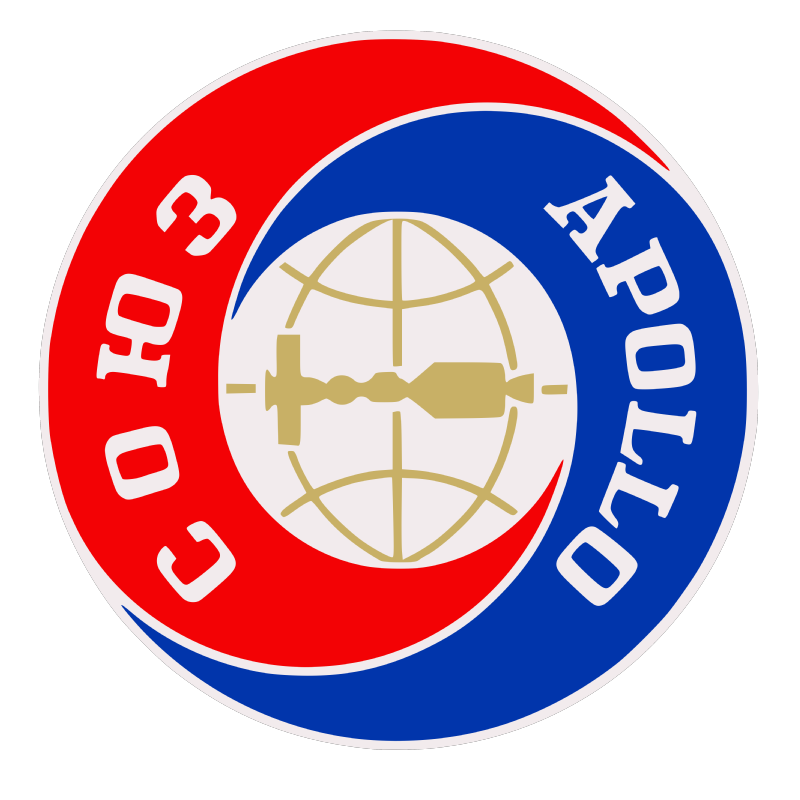 The Apollo was surplus from the curtailed Apollo program, and the final one to fly. 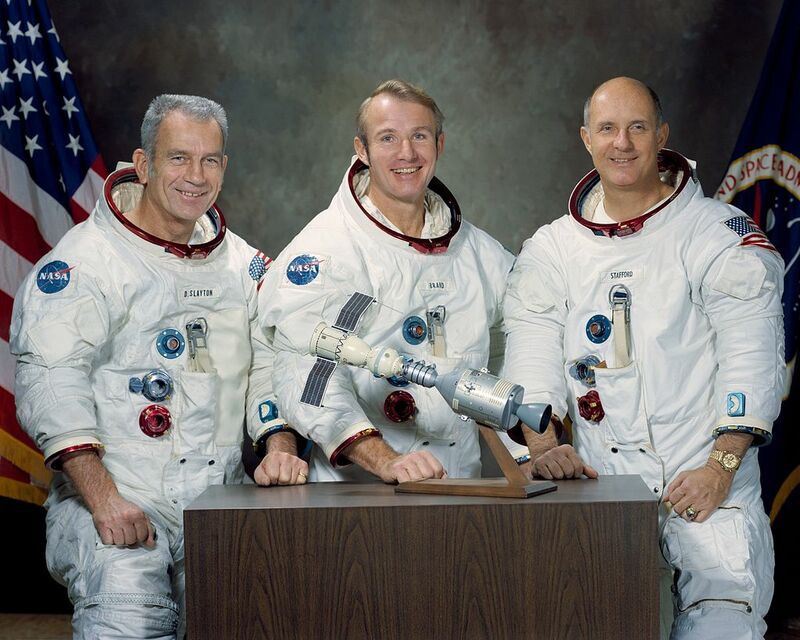 Tom Stafford, Vance Brand and Deke Slayton flew the Apollo. 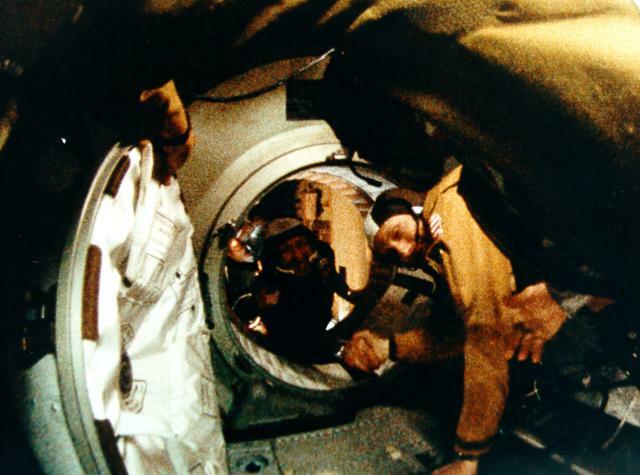 Alexey Leonov and Valeri Kubasov flew the Soyuz. This ceremoniously marked the end of the Space Race that began in 1957 with the launch of Sputnik. This joint mission provided useful engineering experience for possible future US-Russian spaceflights. 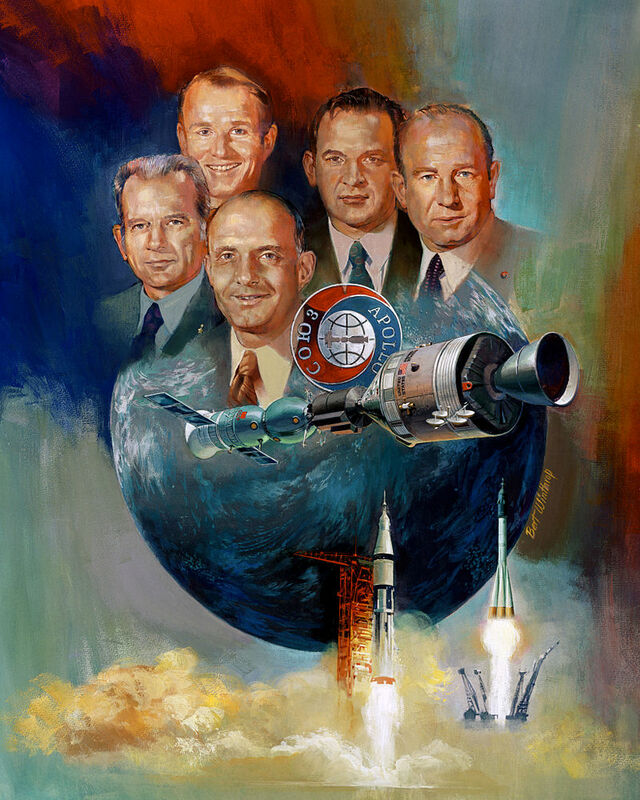 The prospect of joint ventures diminished with the end of détente, but after the fall of the Soviet Union the Shuttle-Mir program was a precursor to the development of the International Space Station. 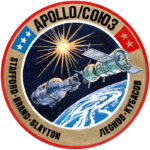 Over a period of 7.5 hours, both the American Apollo CSM and the U.S.S.R.’s Soyuz were launched on July 15, 1975 into orbits in the same plane inclined at 51.8 degrees to the equator. 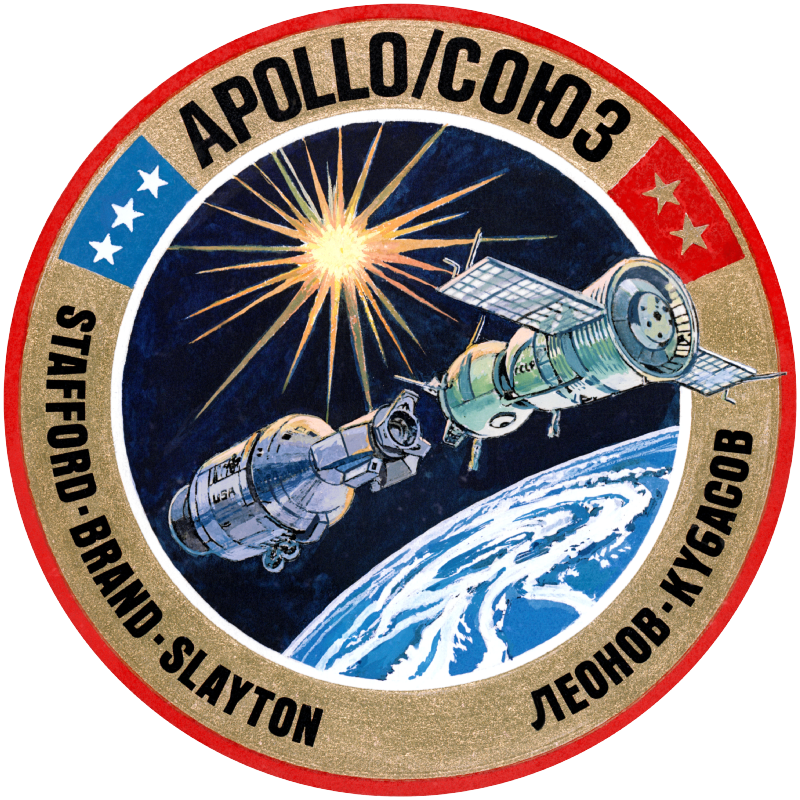 After performing a rendezvous, the Apollo docked two days later using a one-off interface module. 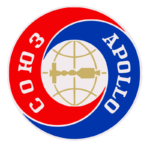 The Apollo was launched on a Saturn IB from the Kennedy LC-39B and the Soyuz by a Soyuz U rocket from Baikonur. Once in orbit, the Apollo spacecraft separated from the S-IVB and retrieved a module from the mount that would normally have carried a Lunar Module. This specially designed Androgynous Peripheral Docking System (APDS) was meant to enable the two spacecraft to dock and serve as a transfer compartment. While the two ships were docked, the three Americans and two Soviets conducted joint scientific experiments, exchanged flags and gifts, signed certificates, visited one another’s vessels, ate together, and conversed in one another’s languages. There were also docking and re-docking maneuvers in which the two vehicles reversed roles and the Soyuz was the “active” ship. After 44 hours together, the two ships separated and maneuvered to enable the Apollo to create an artificial solar eclipse so that the crew of the Soyuz could take photographs of the solar corona. Another brief docking was made before the ships finally went their separate ways. 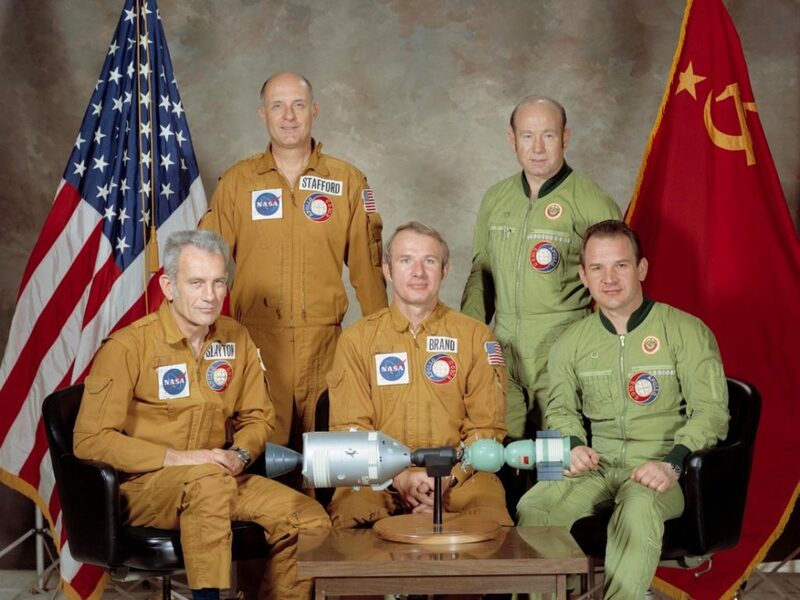 The Soviets remained in space for five days, and the Americans for nine, during which time the Apollo crew also conducted Earth observation experiments.